take the wraps off at Stoke City's Britannia Stadium on Saturday 27th October 2001. Matthews was born February 1st 1915 in a terraced house in Seymour Street, Hanley, Stoke-on-Trent, Staffordshire. He was the third of four sons born to local boxer Jack Matthews (aka The Fighting Barber of Hanley). 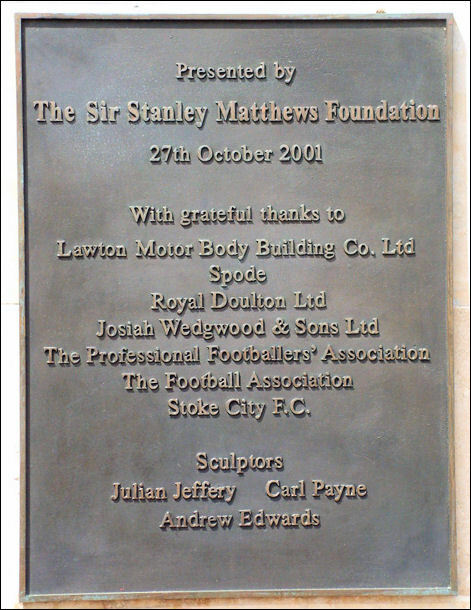 The first professional footballer to be knighted - Sir Stanley Matthews was the most renowned player of modern times. His professional career covered some 33 years. When he retired in 1965 -aged 50 - he had made nearly 700 League appearances for Stoke City and Blackpool and had played for England 84 times, including two appearances for Great Britain. 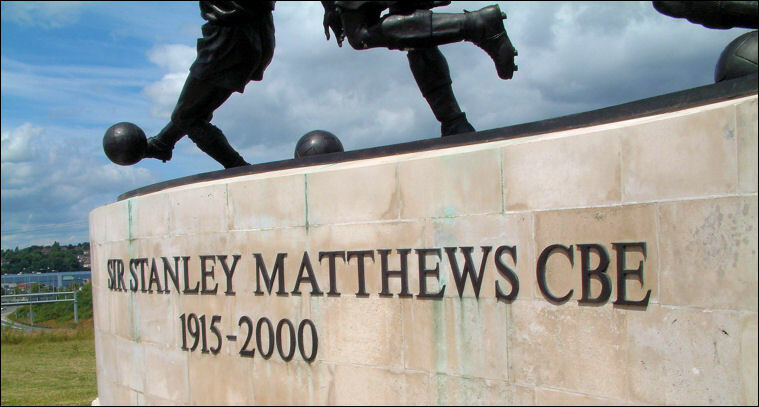 In total, Matthews made 54 official England appearances scoring 11 goals (as well as 29 unofficial wartime appearances with 2 goals). His England career is the longest of any player ever to play for the side, stretching from his debut on 29 September 1934 to his last appearance on 15 May 1957, almost 23 years later, an appearance which, as of 2006, makes him the oldest player ever to appear for England. In 1956, Matthews won the first-ever European Footballer of the Year (Balon d'Or) award, and the following year was awarded a CBE in the New Year's honours list. The three nine-foot statues were made by local artists, showing Sir Stanley at different stages of his career, which spanned more than 30 years. 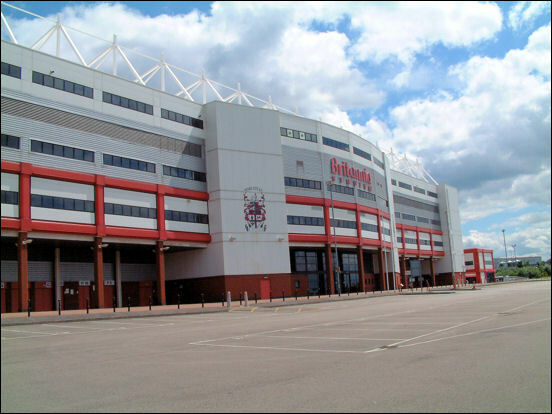 The final resting place for the statues was Stoke City's new home Britannia Stadium. 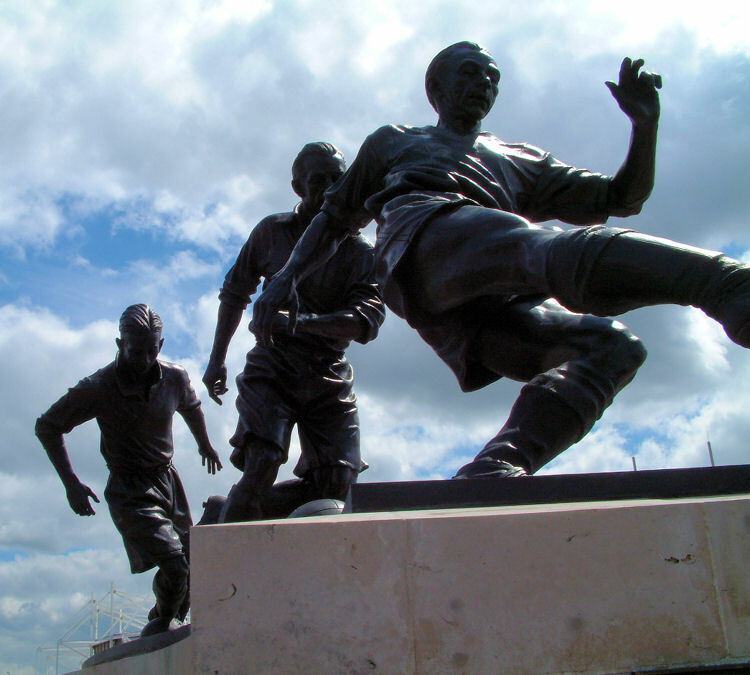 However, the statues point towards the club's old Victoria Ground, where Sir Stanley played. 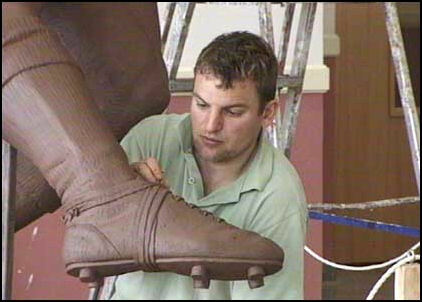 The statues themselves were fashioned from local clay before being cast. The creation of the statues took a whole year to complete. 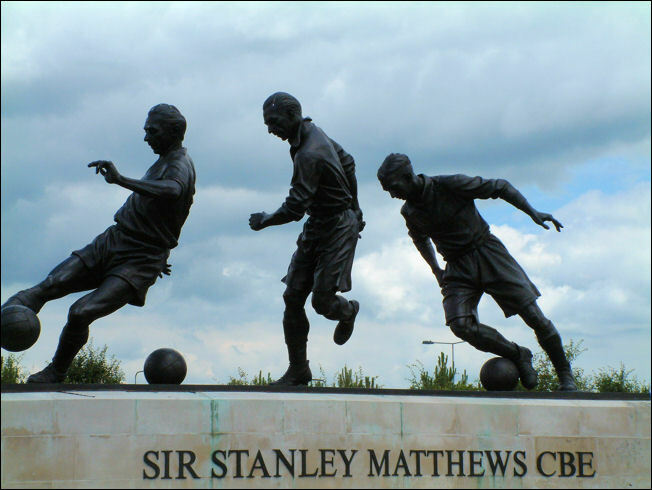 During his career Stanley Matthews gained respect not only as a great player but also as a gentleman. This is exemplified by the fact that despite playing in nearly seven hundred league games, he was never booked. He died in February 2000, just after his 85th birthday, and was cremated following a funeral service in Stoke a week after his death. His funeral was attended by many footballing greats, and his ashes were buried beneath the centre circle of the Britannia Stadium.